The E-107 is a reliable rack mount power center. 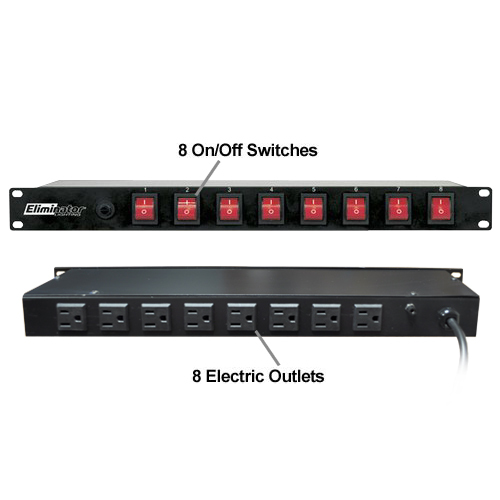 This unit has 8 light switches that control 8 individual sockets on the rear of the unit. When a power switch is glowing, the power outlet on the rear of the unit that matches the switch will be active. The unit can handle a maximum of 15 amps. A 15-amp breaker on the rear of the unit protects any power surges or grounding problems you may encounter. Dimensions: 2"H x 6"W x 21"D, Weight: 3lbs.